Alan J. Cooper earned his Bachelor of Arts degree in Economics and American History in 2007 from Bates College in Lewiston, Maine. In 2010 he received his Juris Doctor from Loyola Law School in Los Angeles, California, and became a member of the State Bar of California in 2010. Mr. Cooper is a member of the State Bar of California, the United States District Court for Northern and Central Districts of California, and the United States Court of Appeal for the Ninth Circuit. He is also active in the San Fernando Valley Bar Association. Alan is a Los Angeles native. While attending college in Maine, double-majoring in economics and American history and playing water polo, he realized an appreciation for living in Southern California and thus returned to Los Angeles to attend law school. Alan’s legal career began in 2010. He initially worked in civil litigation, focusing on toxic mortgages and class actions in California and federal courts. Subsequently, he gained experience in the workers’ compensation field, focusing on defending public entities, self-insured employers, uninsured employers, and insurance carriers. 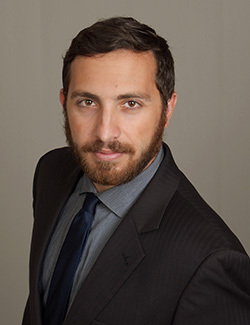 He joined the Encino/Greater Los Angeles office of Dietz, Gilmor & Chazen in 2014. His areas of practice are all workers’ compensation defense matters and serious and willful claims defense. Alan enjoys playing basketball, spending time with his wife and their pet pig, and having his heart broken by the L.A. Dodgers year after year. Important: To upload multiple files you must use Ctrl button to highlight each, then click Open to load all at once. 30MB Max.